HomePokemon Sun and MoonThe new Battle Team and QR Rental Team features! The new Battle Team and QR Rental Team features! Rent and use other battle teams using QR Rental Team! What is a “battle team”? A feature that will be introduced in Pokémon Sun & Moon, a Battle Team is a group of one to six Pokémon that a player can keep in a special storage that will be used in online battles or official competitions. This storage system is similar to the Battle Box which was first used in Pokémon Black & White, however, instead of just having one storage box, the new system now features six storage boxes! In addition, once the Pokémon Global Link resumes its operations on November 18, a new feature called QR Rental Teams will be available for players to use in the website. This feature will allow other players to use your Battle Team by scanning a unique QR code. Ever wanted to use the CHALK team but having a tough time obtaining the Pokemon? Use the QR Code! There are a number of Battle Teams to choose from and among them is a Japanese player with the username zawa who uses a WCS Team which feature the beloved mascot, Pikachu! Each team registered on the PGL will have QR codes so that players around the world can share or exchange teams online. 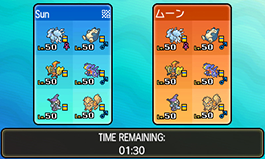 The interesting part of this feature is that you can use the teams that you’ve rented in Link battles and certain Rating Battles such as the Championships Battles which use the World Championships (VGC) format. The new features will surely add more fun and excitement in online battles for Pokémon Sun & Moon! *You may not be able to use a QR Rental Team depending on the regulations. 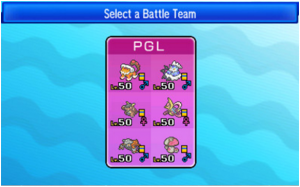 By scanning a QR Code successfully from the PGL website, players will have the QR Code symbol at the right hand corner of their Team during Team Preview! In order to bring up the QR Code though, you need to have a registered in the PGL Website. To me, these threads are not very helpful. I’m looking for QR CODES, thanks, not pictures. I need QR codes NOT pictures please!!!!!!! Hi Ariel, there should be ones from the official Global link website. You just have to register. Good but next time put PICTURE’S of them duhhhh!!! When will they add the QR of battle teams?